Have you ever wondered why some yards seem to be a bird haven, while others don’t see many bird visitors at all? The answer is simple: birds are naturally attracted to areas that provide for some of their basic needs. That’s why planning your own outdoor space in terms of giving our winged neighbours food and shelter will create a space they love to visit – and give you the pleasure of viewing them in their natural habitat. Besides being lovely to watch, birds play an important role in our ecosystem – they provide natural pest control (bye bye mosquitos! ), are essential for seed dispersal and help to keep the environment clean. And as you probably know, they also act as natural stress relief for us humans: studies have shown that listening to bird song can actually improve our mental health. Today, birds are facing increasing threats to their habitat due to climate change, but the good news is that choosing plants that help the birds can make a huge impact. Food – feed the birds by choosing plants that provide seed. 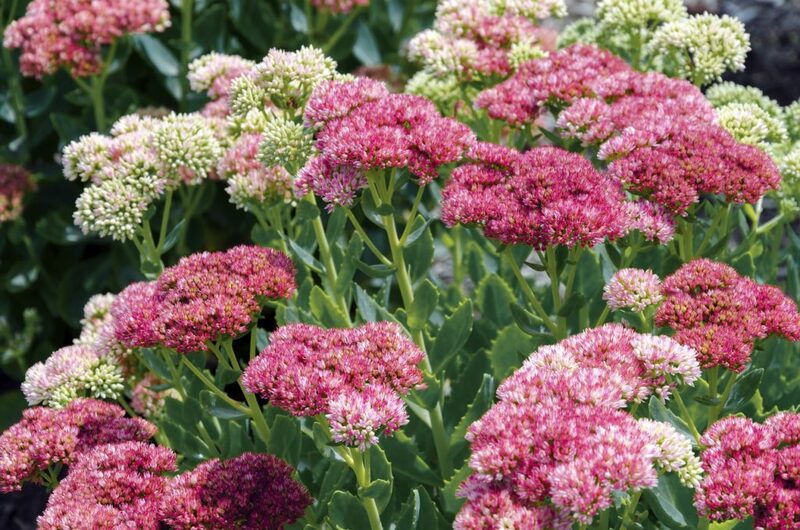 The key here is to avoid deadheading certain blooms and instead allow them to stand until they go to seed. The birds will take care of the rest! Once spring arrives, cut the flowers back and allow the cycle to begin again. 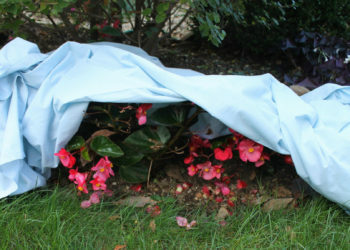 Shelter – choose dense, well branched bushes and shrubs that will be an important source of winter shelter for the birds. 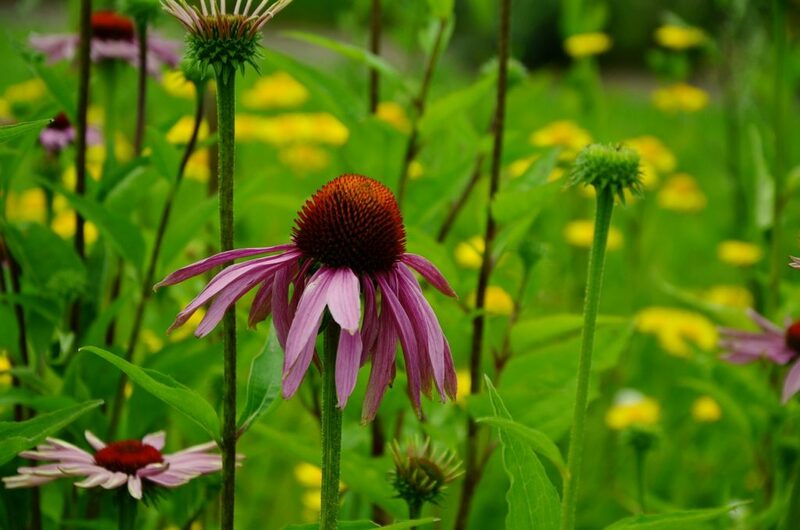 Echinacea, also known as Coneflowers, are not only easy to grow and a gorgeous part of any perennial flower bed, they provide food for Bluejays, Cardinals and Goldfinches. 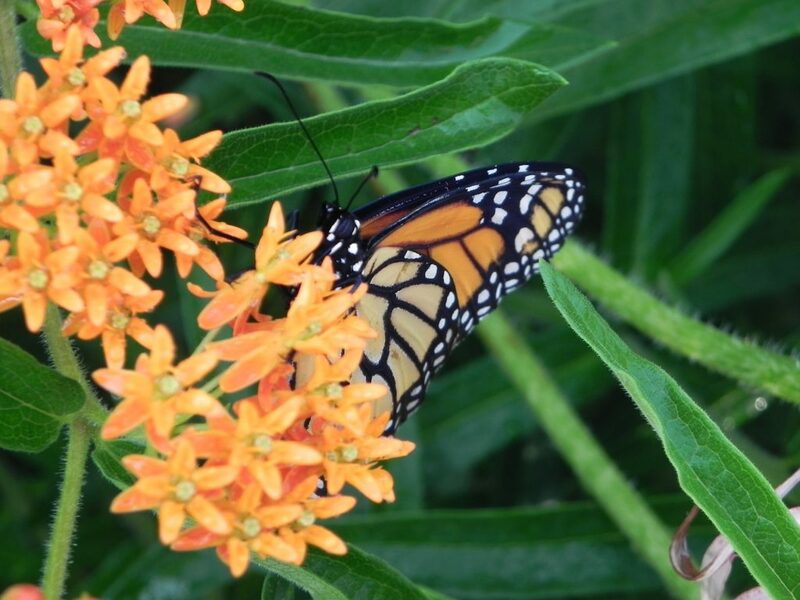 It’s well known monarch butterflies cannot survive without Asclepias, or Milkweed, as both the caterpillars and butterflies need it for food. But did you know that they are also great for the birds? Because milkweed attracts a large variety of insects, it also provides a meal for the birds. And that beautiful, white silky fiber that appears once the milkweed goes to seed? Certain birds, such as the Goldfinch, Northern Orioles and Yellow Warblers, use it to create a silky soft lining for their nests. 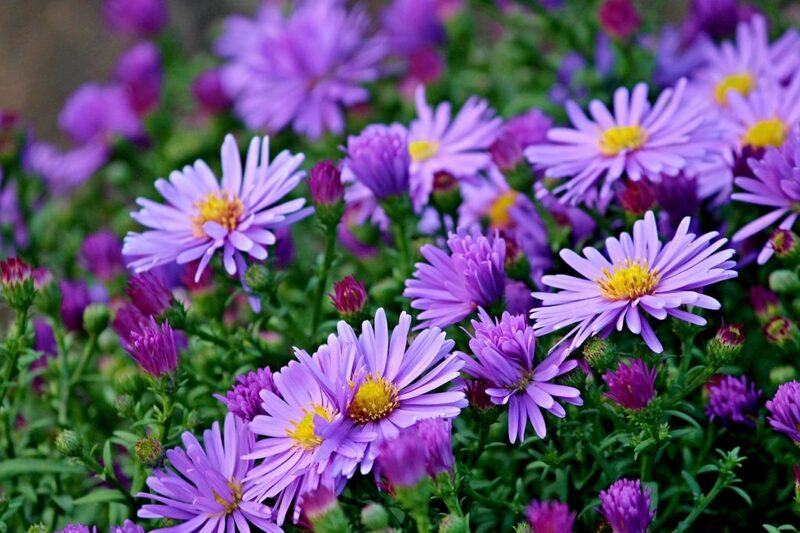 Besides bringing a welcome pop of bright color to the landscape, asters will attract seed eating birds, like finches and chickadees. 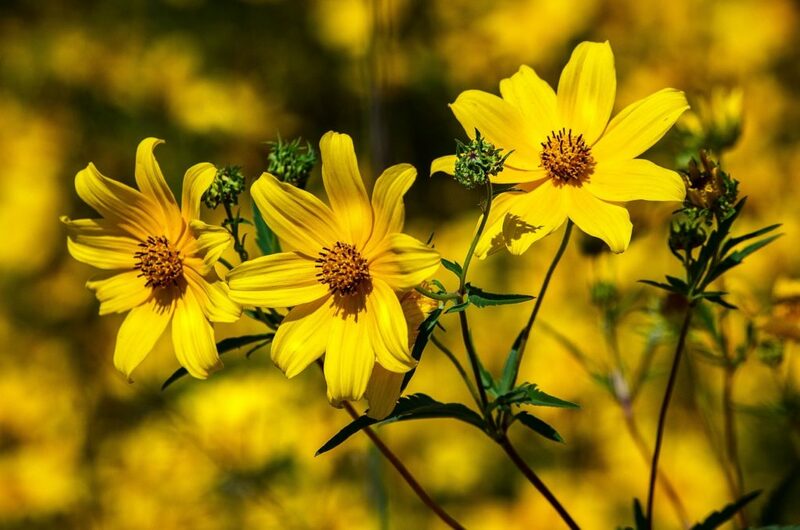 Coreopsis, also known as tickseed, as the small seeds resemble ticks, is a sun loving, drought tolerant native wildflower that will give the local finches, sparrows and tiny chickadees a treat if you let them go to seed. 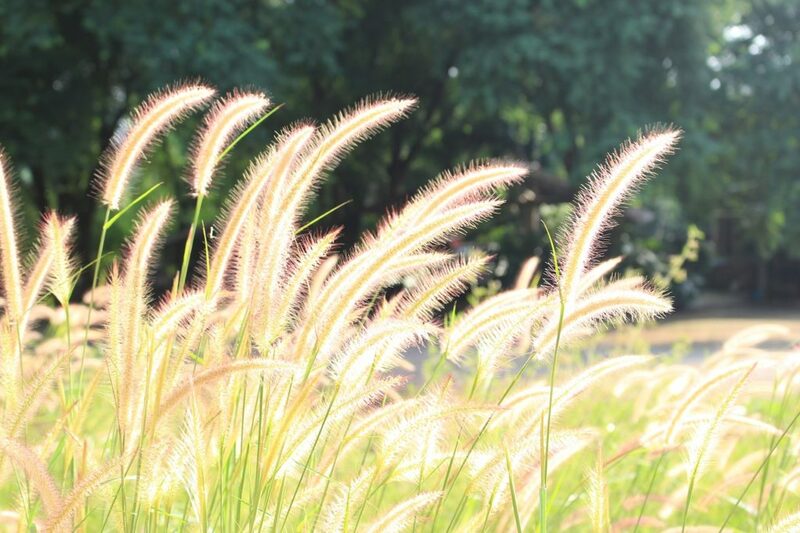 Besides adding texture, movement and sound to your yard, the fuzzy spikes of fountain grass turn into natural seeds – you’ll be sure to spot a bird or two scratching around on the ground underneath for a tasty snack. Sedum is a siren call to the birds, just as the cooler temperatures are closing in in late autumn sedum goes to seed, giving the birds an important meal. 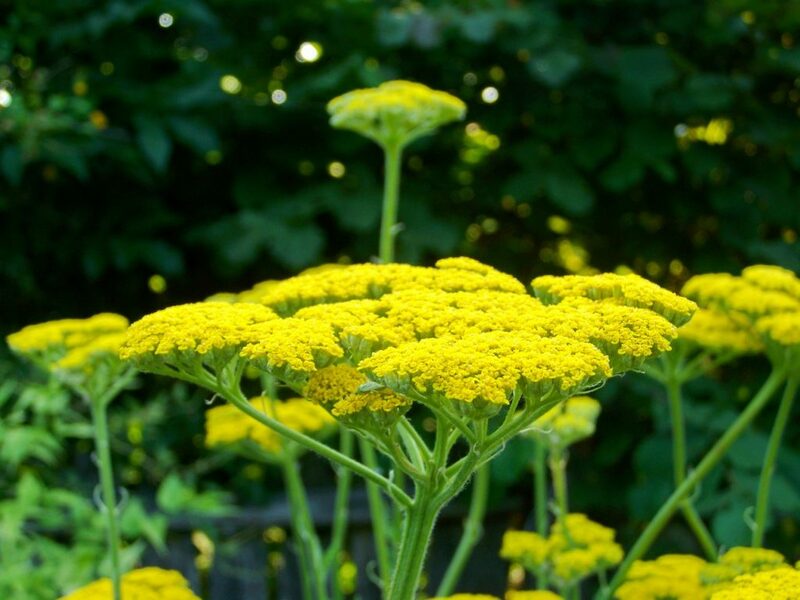 Achillea, or yarrow, provides seed for all types of songbirds. 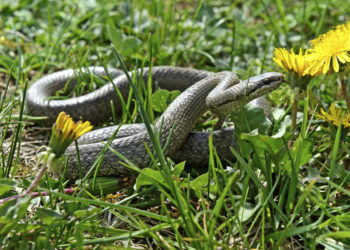 Even more interesting though, is the fact that many birds use it to line their nests, as it repels parasites. 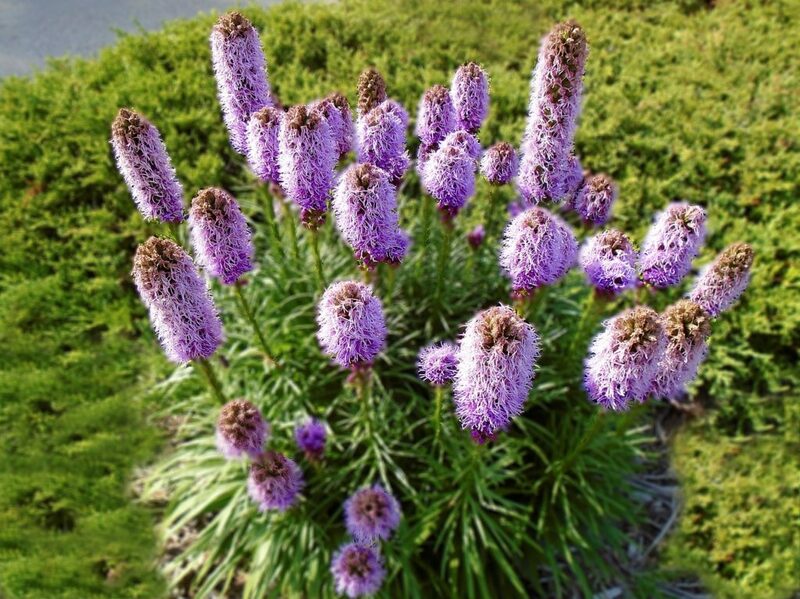 Besides being a beautiful addition to your outdoor space, once the tall spires of the liatris go to seed, it’s a smorgasbord for bluebirds, American goldfinches and tufted titmice. 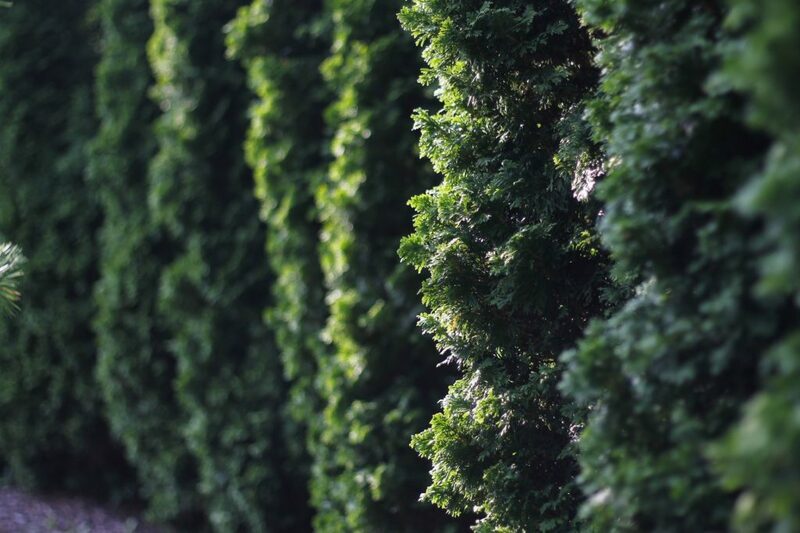 The dense shrubs of arborvitae provide much needed shelter for the birds, particularly the ones who overwinter in the local area. And, they make a beautiful, green ‘fence’! 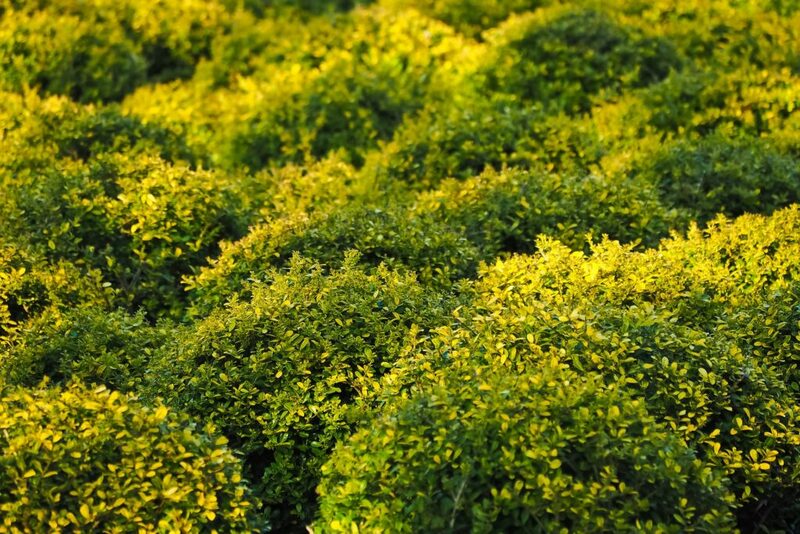 Buxus, or Boxwood, shrubs provide thick, dense cover that for shelter and protection for birds and their nests. 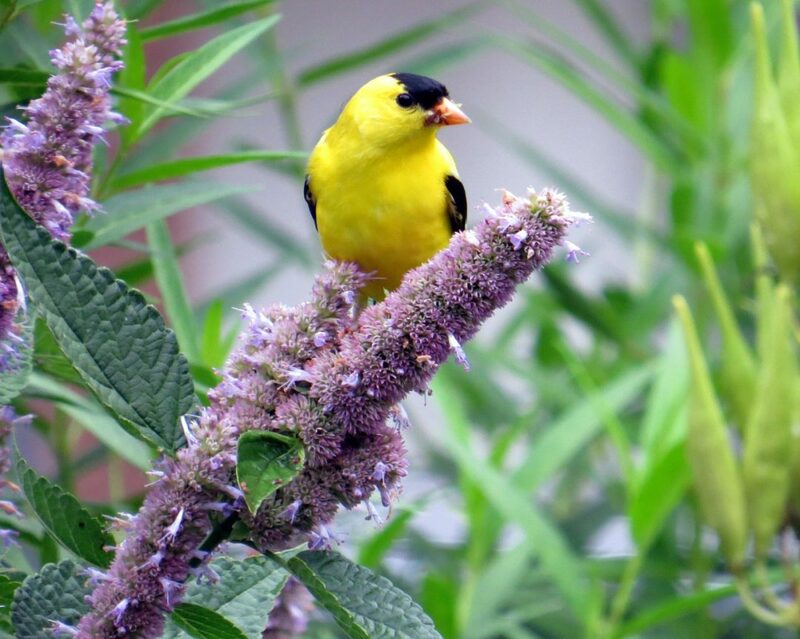 If you are an avid fan of the American Goldfinch, you’ll want to read up on how to bring this specific canary to your yard. As you make your garden selections this year, keep our feathered friends in mind – you’ll be rewarded with frequent grateful visitors, and some natural stress relief!